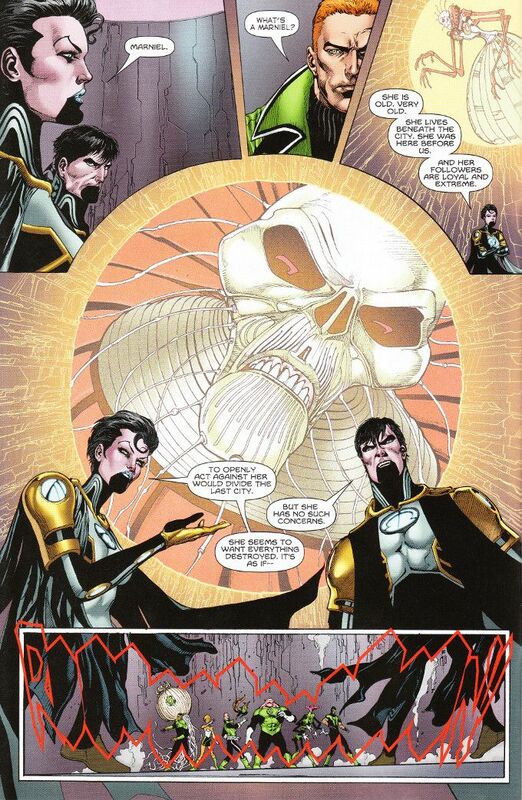 Trapped in the last days of a dying alternate universe, The Green Lantern Corps have still found unexpected allies in the place known as The Last City. But they have unexpected enemies as well, who seek to destroy what little remains untouched by the destruction of all that is. It will take all the willpower they can muster to overcome this, their greatest challenge! When writing for an ensemble cast, a writer runs the risk of neglecting some characters in favor of others. Tom Taylor avoids this pitfall, but the action in this issue runs so fast that there is little chance to focus on any one character to the point of excluding others. 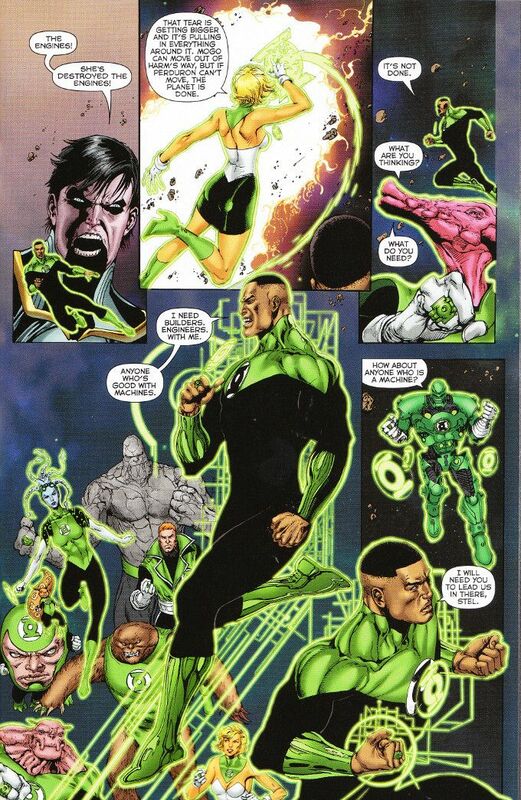 The story is a thrilling one but those not already familiar with the cast of the Green Lantern Corps may find themselves as lost as our heroes in keeping the names and faces straight. Longtime fans, however, will find a gripping tale and a cliffhanger ending. Ethan Van Scriver and Jason Wright are in fine form. There is a reason why Van Scriver is considered the definitive Green Lantern artist and each page of this issue stands as testament to his skill. The colors by Jason Wright provide the perfect finish to Van Scriver's pencils and inks.